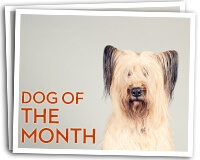 Simply put, a dog with a microchip has a better chance of returning home if lost or stolen. Have you ever thought of losing your beloved pet? That gut-wrenching feeling of not knowing where they are or if they’re safe? You may be interested to know that microchipping may be the only thing that brings your dog back to you, faster than you thought possible. Millions of dogs ares stolen in the US every year, and that 1 in 3 dogs will become lost at least once. So ensuring your pet can be found, quickly, is of the utmost importance… especially when the pricing for this service has dropped dramatically over the years. Microchipping is a permanent form of identification and may help in finding your lost or stolen pet. A chip is extremely small, almost as small as a grain of rice. This form of pet protection is invaluable when it comes to finding a lost or stolen pet. A study published in the Journal of the American Veterinary Medical Association, that roughly 22 percent of lost dogs in animal shelters were reunited with their families. But in that study, they found that the return rate for dogs that were microchipped was over 52 percent, a 238% increase. How will a microchip implant find my lost dog? 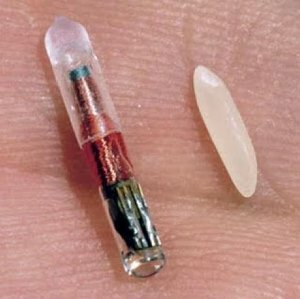 You need to understand that a microchip implant is not a tracking device, it is simply a tool for identification. If your dog is found and taken to an animal shelter or if someone takes your dog to a veterinarian, the animal is typically scanned to determine if a chip is present. How long does a microchip Implant Last? A microchip implant typically lasts the lifespan of the dog. Some experts say the chip can last almost 20 years without failure. How do I know if my veterinarian is qualified to install a microchip? Firstly, you’ll need to ask your vet if they perform the procedure at their facility. If they do, you should ask how many animals have they implanted chips to, are they licensed or trained to use the scanner and if there was a success rate for return. You’ll also need to ask if the microchip is ISO certified Knowing your vet is trained in this procedure will offer some relief that the chip will be implanted properly. Does microchipping a dog help reduce dogs that are in shelters? Technically, yes. As dogs are brought into shelters they are typically scanned to find their owner. If an owner is located and is willing to retrieve their pet that certainly reduces the pet population in some shelters.